Ever noticed that when the bagpipes start up, at a big military tattoo or a highland gathering, the bass note, the drones, tends to sound a bit wobbly, slightly out of tune? 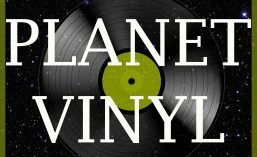 The Planet Vinyl shuttle has landed today in Bonnie Scotland. To be precise, we are at Redford Barracks, Edinburgh, on 18 May 1971. Performing are the snappily-named The Pipes and Drums and the Military Band of the Royal Scots Dragoon Guards. This will become a famous recording, selling more than seven million copies. It is the signature tune of the Scots Guards (as they are known to family and close friends), their arrangement of the hymn Amazing Grace. I decided, then, to find out. Is it just me, or does a massed pipe band actually sound a little out of tune. My musical friends inform me that, yes, by their nature bagpipes are never quite in tune with each other. Just how it is. Go with it. And, were you a trembling adversary, a soldier standing in the line while the Scots Dragoons thundered towards you, sabres flashing, the slightly out-of-tune drones of the pipe band would be the least your worries.